The online retailer’s new Kindle Fire is nowhere near as glossy as Apple’s iPad. Nor does it boast the rich ecosystem of apps. Based on the new device’s appeal alone, I’d pick the iPad any day. However, Amazon’s killer blow – the $300-plus gulf between the Kindle Fire and iPad’s price tags – means those are sacrifices that many would be more than happy to make. 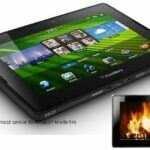 A huge number of technophiles have already committed to the iPad, but for those a little less monied or slower off the mark, the Kindle Fire is cheap enough to become the de facto entry point to the tablet market. Amazon is applying the same strategy in the e-reader market, cutting the price of its basic model to $79 to undercut Barnes & Noble’s Nook. Amazon’s margins on the new devices are likely to be pretty thin but its decision to trade profits for a significant foothold in the tablet market is a canny one for the long-term health of the business. Just as Apple ties its customers into an ecosystem of apps and iTunes, the Kindle Fire will act as an entry point for the retailer, drawing users to the rest of its products and persuading loyalists to buy more. 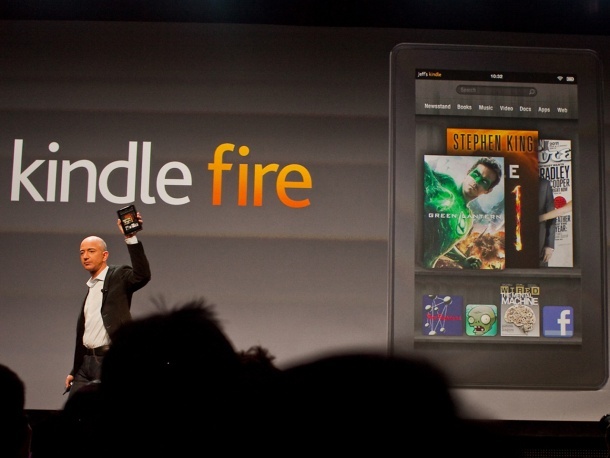 Amazon already sells more digital books than physical ones, and has an estimated 75pc share of the e-book market. The Kindle Fire gives the business a good chance of replicating this trend in other fields: owners will be unlikely to purchase digital copies of films or magazines from anywhere else. The new devices also support Amazon’s less tangible assets – its cloud and consumer data. Once committed, users will be reluctant to deal with the hassle of moving content or linking other devices to the Amazon cloud. The question to be asked is not whether the Kindle Fire will give the iPad a run for its money, so much as when it will launch over here. PRICE:The price is only 199$,so that’s why it is economical.